The German group Delivery Hero, one of the largest global ordering and delivery platforms on the Romanian market through foodpanda.ro operations, announces the full purchase of hipMenu. 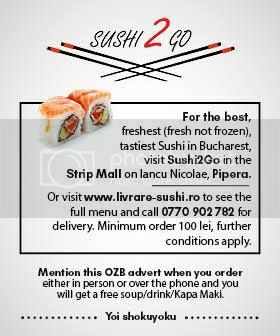 With this transaction, the Delivery Hero group, one of the largest global ordering and delivery platforms, through the foodpanda and hipMenu brands, will give Romanians access to the largest variety of restaurants in over ten cities in the country and becomes the undisputed leader of the online orders market in Bucharest, Cluj, Timisoara, Oradea, Brasov and Iasi. “With the acquisition of hipMenu, Delivery Hero strengthens its market leadership position in Romania and strengthens its customers’ promise to continue offering the most memorable online food ordering experience,” said Gábor Szórád, CEO of Delivery Hero for Central and Eastern Europe. Launched in 2013 in Cluj-Napoca, the hipMenu.ro platform now brings together over 300 restaurants in Cluj, Bucharest, Oradea and Timisoara. hipMenu had much better results than foodpanda. In 2017, according to official data, hipMenu had revenues of 1,016,323 euros and foodpanda of 881,380 euros. The combined revenues of the two brands exceeded four times the income of the closest competitor. “HipMenu’s business has evolved rapidly at a local level and, by associating with Delivery Hero, will benefit from the resources needed to further develop and strengthen its leadership position in the cities where it operates,” said Dan Klausmeier, co-founder of hipMenu. hipMenu was remarked, with the launch of the platform in Bucharest , through viral social media campaigns, but also through a unique product on the Romanian market. hipMenu is a top application that focuses on group ordering. This facilitates in particular the work of corporate and corporate employees who organize office meals. In addition to simplifying the ordering process for users, restaurant owners benefit from larger orders that reduce their cost per serving. HipMenu has won the Best User Experience Award in Romania, offered in 2016 by the Central European Startup Awards. At the same time, it enjoys the best user experience among the applications available in Romania in the food & wine category.